Russia does not intend to return the occupied Crimea to Ukraine and no conditions exist that would contribute to this. 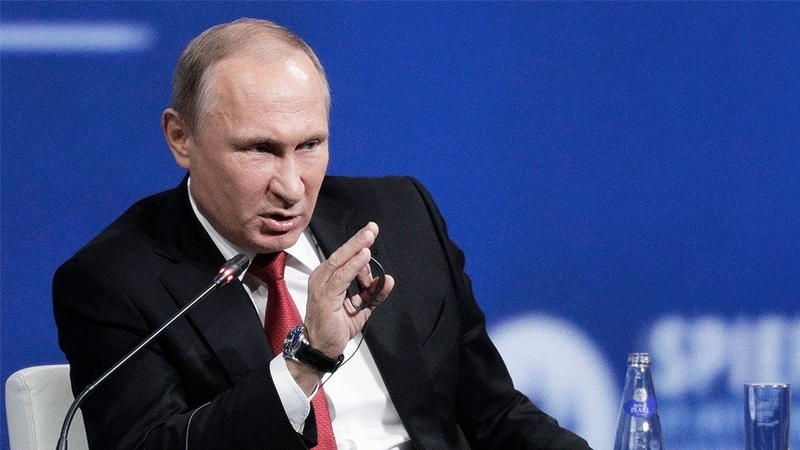 Russian President Vladimir Putin made a corresponding statement in an interview with the Austrian television channel ORF, published on the website of the Russian president. Putin said that any conditions for the annexed peninsula to be returned to Ukraine do not exist and cannot exist. According to him, an armed coup and seizure of power allegedly took place in the occupied Crimea, while the Russian army was legally deployed there, since the Russian military base was located on the peninsula. To the journalist's question about the people on the peninsula in unmarked uniform, the Russian president stressed that after the so-called coup the Crimean residents allegedly "felt themselves in danger" and Russia had to ensure the holding of independent free elections. QHA reported that the Deputy Chairman of the Mejlis of the Crimean Tatar people, Akhtem Chiygoz, called on Germany to help Ukraine in the matter of Crimea's de-occupation. He expressed the hope that Germany will not limit itself to the non-recognition of Russia's occupation of the peninsula.